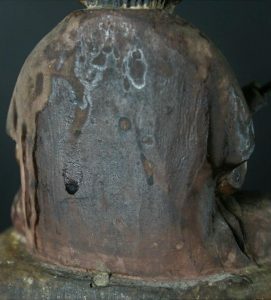 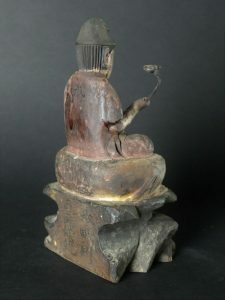 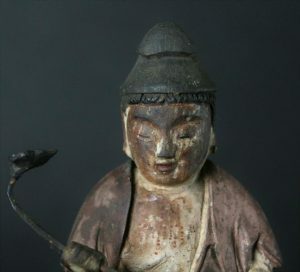 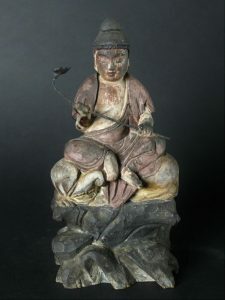 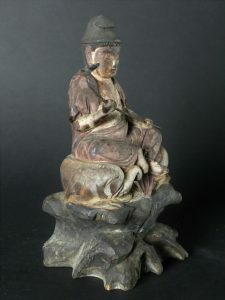 Fugen Bosatsu made in wood and with traces of once polochromy inscriptions on the botom. 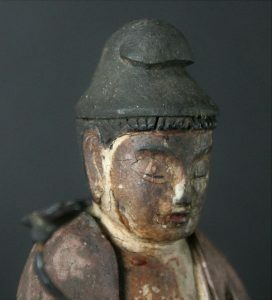 Late Edo or early Meiji. 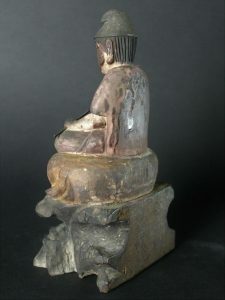 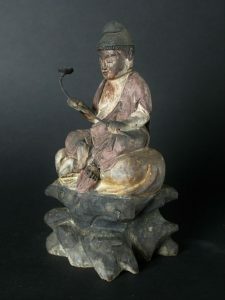 She sits on an elephant and holds a lotus flower.